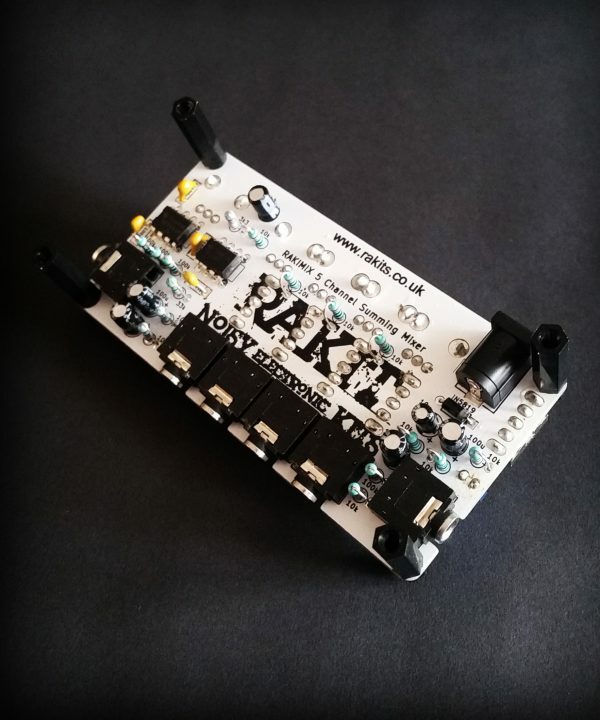 The Rakimix is a simple but proficient mixer with 4 controllable channels and one auxiliary channel. 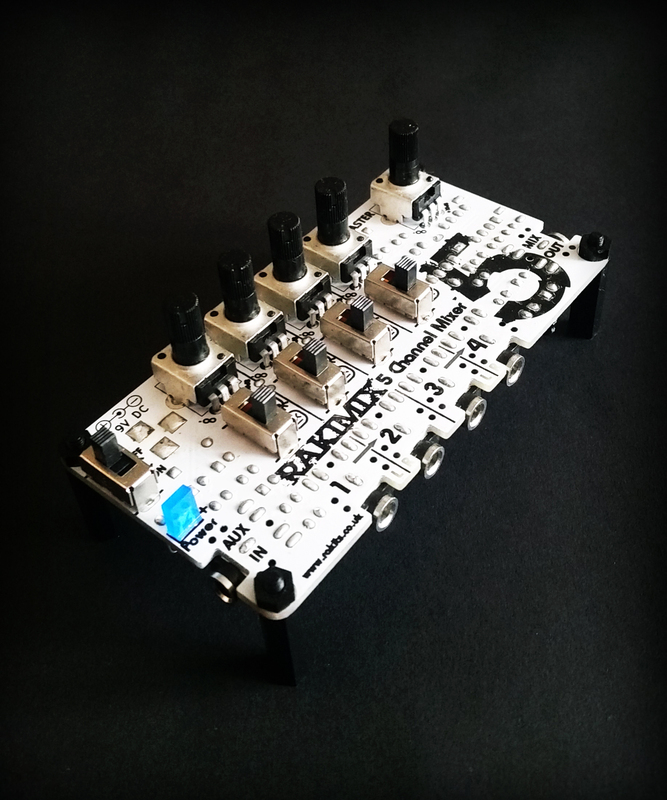 The auxiliary channel can be used to daisy chain with another Rakimix or any typical mono audio source. This is an intermediate level DIY kit, the perfect project for anyone with a spare hour on their hands! Each channel has a level control which ranges from off (fully anti-clockwise) to +10dB gain (fully clockwise). useful to keep a level setting but still mute the sound on an individual channel. The master level control is used to adjust the level of channels 1-4 but does not affect the auxiliary input. The Rakimix can be daisy chained with other Rakimixers to create a larger channel count mixer. This input can be used with any mono audio signal up to approx 4Vpp, the signal will be buffered and mixed with channels 1-4. Any level adjustment of the auxiliary input signal should be done on the source device. 1 x Stereo, 2 x Mono, outstanding! The mixer output signal is a mix of the 5 input channels transmitted to the tip and ring of a stereo output. 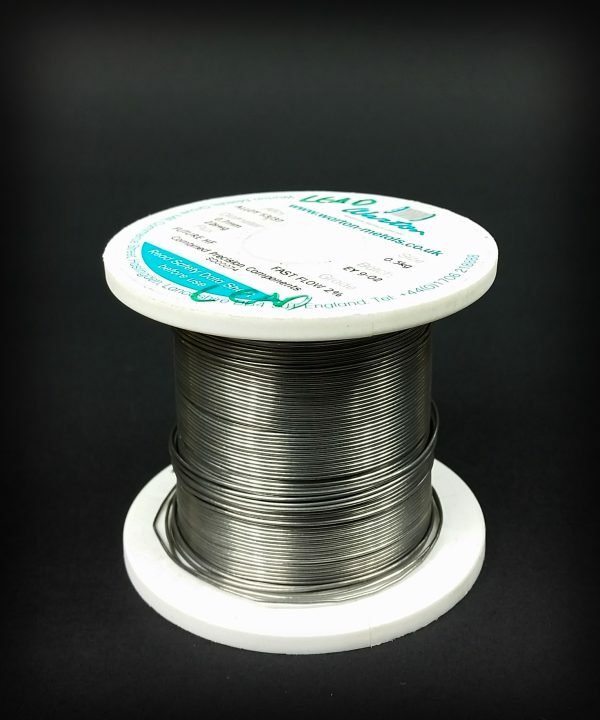 A mono or stereo cable can be used on the output. When using a stereo jack both left and right signals will be identical. 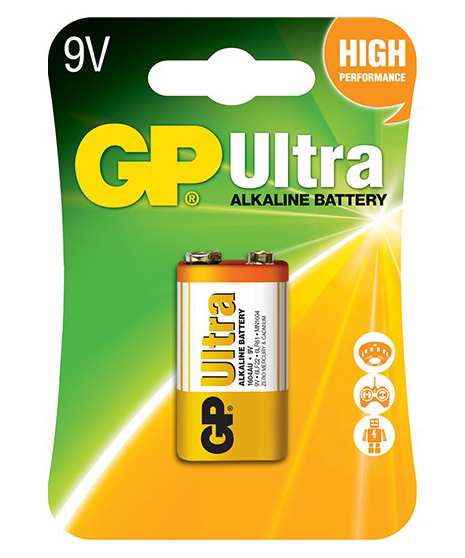 Option A: Get yourself a pp3 9V battery to use with the battery-barrel jack connector supplied in your kit for a mobile device. You can add a battery to your kit using the drop down menu options. The easy to follow assembly guide can be followed online and contains handy hints and tips to help you along the way. We are happy to help with your build, just get in touch using our ‘contact us‘ page and we’ll respond ASAP! 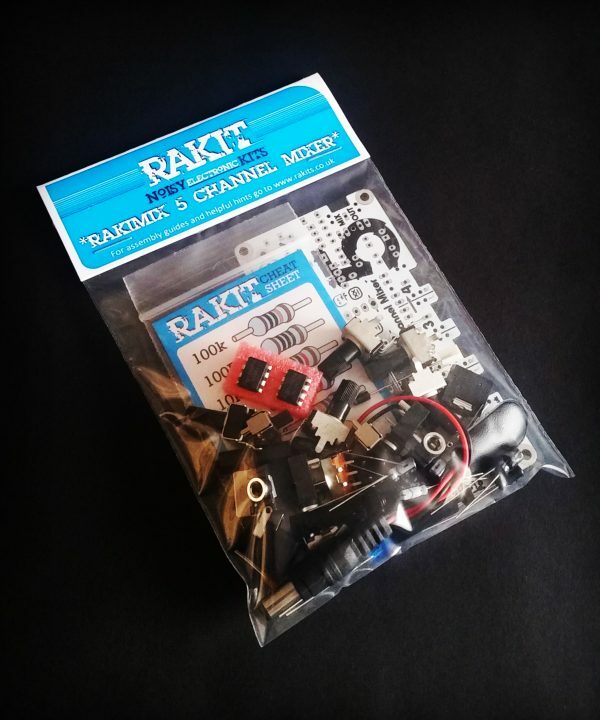 A wonderful little kit, easy to assemble and really sturdy. 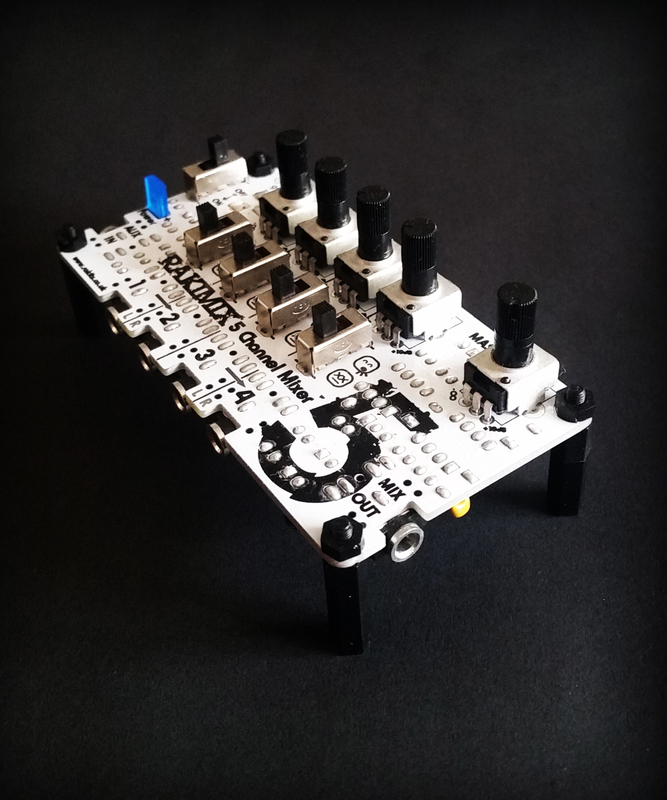 Some nice improvements over other kits like the Baby8 – lovely solid switches that are easy to use, and the DC power jack is a great addition. One of those useful items you wonder how you’ve managed without for so long..! Easy build from clear online instructions..
Another excellent and easy kit to build. the power jack is a handy addition, i have the baby8, cracklebox and others. all with no problems. What an awesome little mixer! Clear instructions to build it, great fun and a really good piece of hardware! Also has a really nice overdrive at the top of the gain! Great kit. A nice mixer with all the basic functions that you need. Easy to use and easy to build. Perfect! FREE delivery to anywhere within mainland UK.